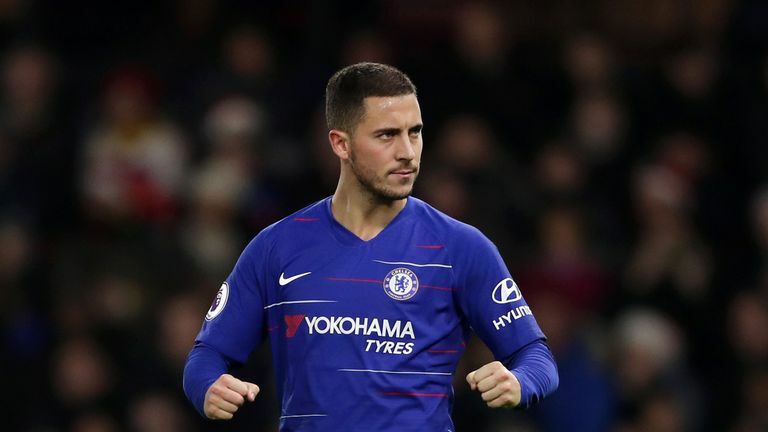 Maurizio Sarri has praised Eden Hazard's qualities as a world-class footballer, but says the Chelsea forward is "not a leader". 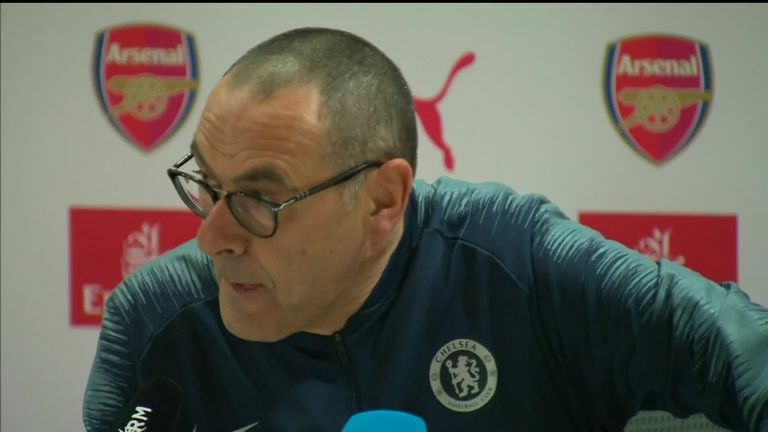 Sarri spoke in his native Italian to criticise his players following Chelsea's 2-0 defeat at Arsenal, accusing them of being difficult to motivate and being low in mental aggression. When questioned further on the subject ahead of Chelsea's Carabao Cup semi-final second leg against Tottenham, Sarri cited Cesar Azpilicueta and David Luiz as potential leaders, but said Hazard does not have the right qualities on the pitch. "I don't know, in this moment he's more an individual player than a leader," claimed Sarri. "He's important for us, a great player, he always can win the match in two minutes, sometimes in one minute. "At the moment, he's not a leader - a great player, one of the best in the world. "I prefer him when he speaks with his feet. I think that he says coaches have told him that he needs to do more. I think he has to do more because the potential is higher than the performances. So he has to respect, first of all, himself - he has to do more. "Eden, at the moment, is a wonderful player, but he is an individual player, an instinctive player. "For him, it's very difficult to play in only one position. He likes very much to go to the ball, he likes the ball at his feet. But it's very difficult for him to play as a striker, but also very difficult for him to play as a winger." "He is discussing with the club, but I don't know anything else," Sarri said. "He's not decided yet he wants to stay here or he wants a new experience in another club. "Eden, at the moment, doesn't know the final choice."